More than a century ago, Franz Delitzsch created a biblical work of art. Assisted by prominent Messianic Jewish scholars with classical rabbinical educations, Delitzsch translated the Greek New Testament into Hebrew, returning Yeshua to Judaism and giving the Gospels back to the Jewish world. 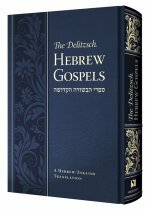 The Delitzsch Hebrew Gospels, with its intuitive design, beautiful translation, eloquent and informative introductions, extensive glossaries, and insightful features, make this edition of the Gospels truly unique. 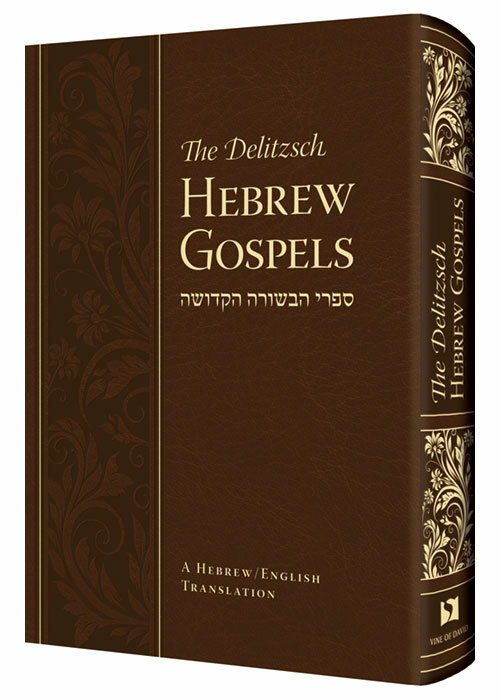 Perhaps The Delitzsch Hebrew Gospels: A Hebrew/English Translation (DHE) is the most contextually sensitive and Jewish presentation of the Gospels published to date. Charts, covering a harmonization of the twelve disciples, weights, measurements and currency, and time events from the Gospels. Binding: Flex Bound (Softcover), Smyth sewn (lay flat), round back, headbands, gold gilding, and two placement ribbons. Cover: DuraTone™ PU/EF (Rich Brown) Vintage, with foil stamped (Brushed Gold) titles and decorative artwork and decorative heat burnishing; squared corners. Packaged: Inserted into a ridged protective slipcase, shrink-wrapped.